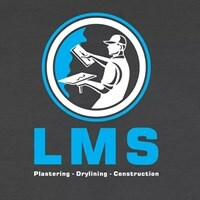 LMS Plastering and Construction - Plasterer based in Wittering, Cambridgeshire. LMS plastering & Construction specialise in plastering & building services and general property improvement solutions. Over the years, we have earned an enviable reputation for high quality workmanship delivered at competitive prices. You can see a full list of service below - We are also fully insured!